A West Orange, N.J. man who spent the last several weeks purporting himself as a major shareholder in the Jamba Juice Company and attempted to solicit investors under false pretenses, was arrested last week, said Prosecutor Theodore J. Romankow. Michael T. Guidice DOB: 2/2/1965 of Kirk Street in West Orange was arrested in Kenilworth following an undercover operation by the Kenilworth Police Department and the Union County Prosecutor’s Office. He is currently charged with one count of 2nd Degree Attempted Theft by Deception, said Romankow. 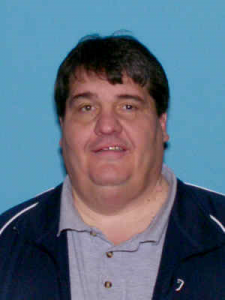 Authorities were notified of Guidice’s attempts to solicit funds from patrons of restaurants frequented by the defendant in Union County. A would-be target of the defendant became suspicious after several meetings with Guidice who claimed to be a representative of Jamba Juice. “During these meetings Guidice claimed to own 25 Jamba Juice locations including the one in Times Square, one at the Garden State Mall in Paramus and one in New Brunswick,” said Romankow. In meetings with potential victims Guidice promised a return of five times their initial investment within 60 days. Authorities confirmed that Guidice has no business relationship with Jamba Juice or any of their franchises. Last week Guidice met with an undercover police officer in Kenilworth and attempted to solicit money from that officer, promising the same financial return he had indicated to others. After accepting a cashier’s check for $90,000, Guidice was immediately arrested. He was transported to the Union County Jail where he being held on $75,000 bail.